At each lecture, we need about six members to help us ensure everything runs smoothly. 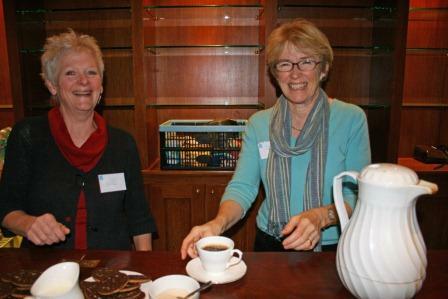 They may make and serve the tea and coffee, help members to sign in as they arrive, or “meet and greet”. Guidance is available for new volunteers. We occasionally need other volunteers, for example, to help during visits or at our summer and Christmas parties. Over a quarter of our membership is actively involved in helping us and the committee is very grateful to them – it’s a great way to get to know other people.